How Much Is the Jaguar XE? The 2019 Jaguar XE starts at $36,995 MSRP with eight different trim levels to choose from. This luxury sedan offers plenty of cargo space, an advanced navigation system, standard rear wheel drive, and even an available diesel engine for improved fuel economy. Explore the new Jaguar XE lineup below, then visit us at Jaguar North Scottsdale to see it in person! Explore the New Jaguar XE Configurations in Phoenix! Compare the Jaguar XE vs. BMW 3 Series to find out how the two luxury sedans measure up in terms of price, features, and more. 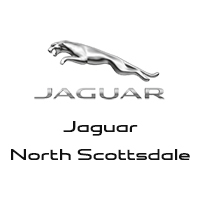 When you are ready to take home this feature-packed luxury sedan, browse our inventory to find the new Jaguar XE for sale at Jaguar North Scottsdale. Don’t forget to ask about our current Jaguar offers near Carefree to save on your next vehicle! 0 comment(s) so far on How Much Is the Jaguar XE?